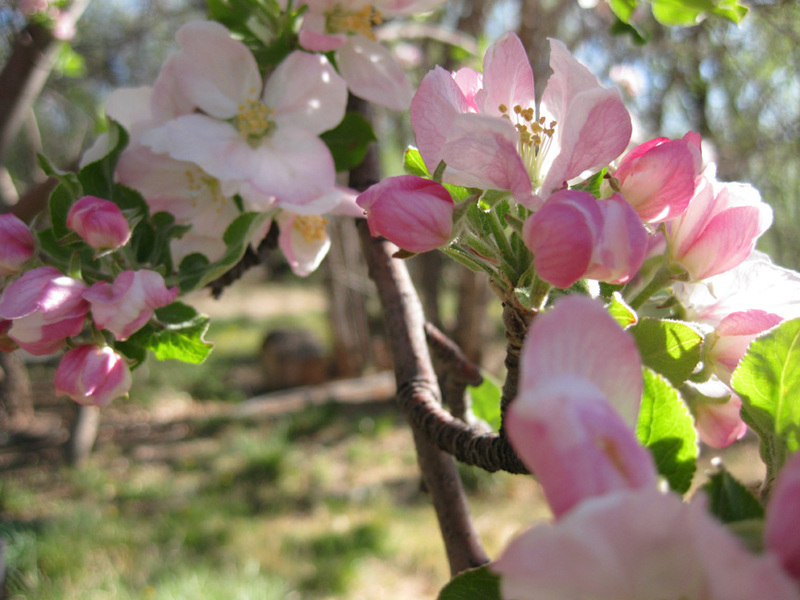 I took this photo of the apple blossoms on one of our embattled trees. Only one of three trees is doing well after a hard freeze-thaw-freeze cycle two years ago which cracked the trunks open on many of the trees in the neighborhood. One tree is basically dead and needs to be removed, one is struggling to come back, but is now shaded out by bigger trees that have grown up since it was first planted, and this last tree is covered in gorgeous blossoms. The weather has been perfect this week making it hard to do any indoor chores or work. Right now I'm tied to the inside because I'm on hold, but I'm hoping to get outside soon and enjoy the day. Its supposed to be overcast and rainy tomorrow, but I'm hoping that it won't rain much since Sunday is our first day to irrigate, and I don't want that cancelled. those are so beautiful! the weather has been gorgeous here, too...hard to get work done!